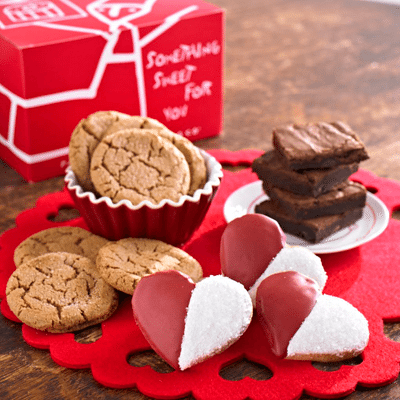 We received sample products in return for their mention in this Cute Valentine Sayings gift guide but all opinions expressed are 100% our own. A box of chocolates is such a cliche’ when it comes to Valentines Day Gifts. We thought we would share some of our favorite and less traditional Valentines Day Gift Ideas. Even if you don’t celebrate Valentines Day with gifts these make great gifts for many occasions as well. 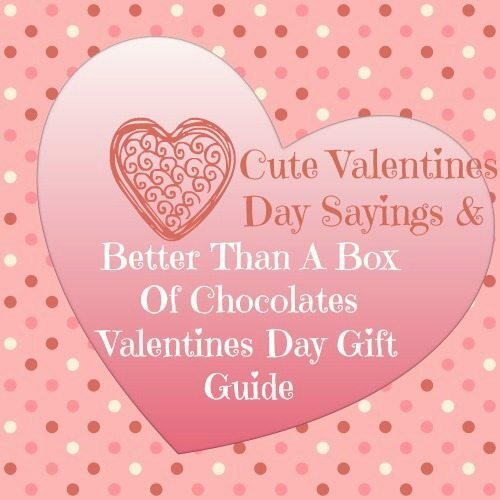 We are including Cute Valentine Sayings with each gift to make your selections even more special. Give your special Valentine one of these great gifts and we included some creative Valentine Card Sayings to go with them too. 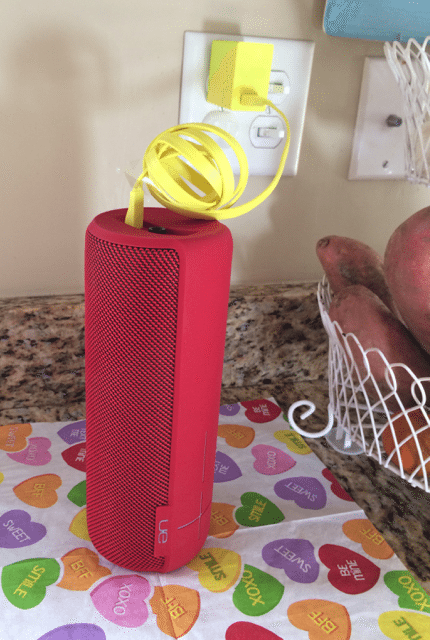 YOU ARE MUSIC TO MY EARS Bring music anywhere you go, especially in the kitchen for the cook in your life with the next-generation UE MEGABOOM blasts freakishly amazing 360-degree sound with heart-pounding bass. With a waterproof – IPX7 certified – and stain-resistant acoustic skin, and a durable grab-and-go design, UE MEGABOOM makes your musical adventures both awesome and easy. Plus, UE MEGABOOM weighs less than two pounds, features a 20-hour rechargeable battery life and 100-foot wireless Bluetooth® range, so you can keep the party going anywhere. 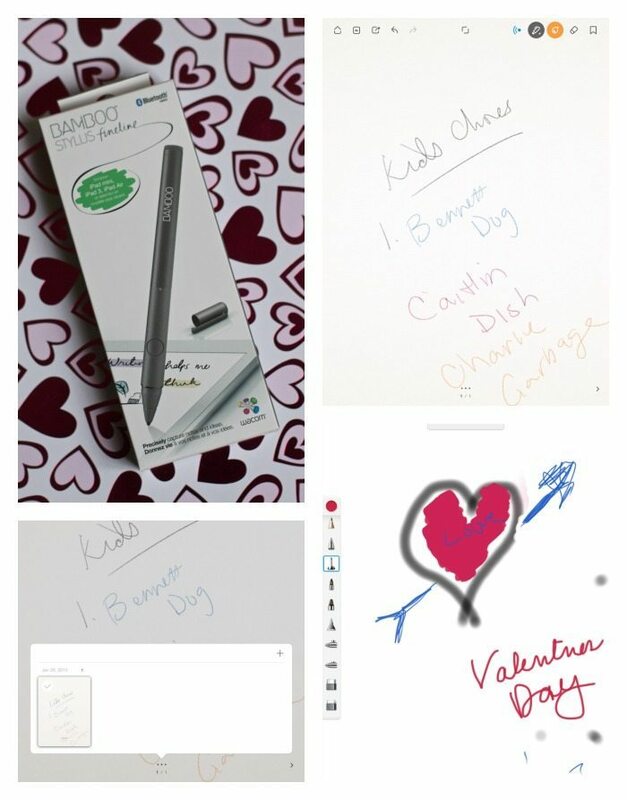 LET’S GET TO THE POINT: YOU ARE MY STYLE With the Wacom’s Bamboo™ Stylus Fineline, you can write a handwritten love letter right on your iPad. Just like pen to paper, Fineline’s innovative thin-tip technology gives you an authentic and natural handwriting experience. This is also perfect for the person with limited mobility they can use it to touch the keys on their iPad We had fun downloading some of their apps and testing it out. 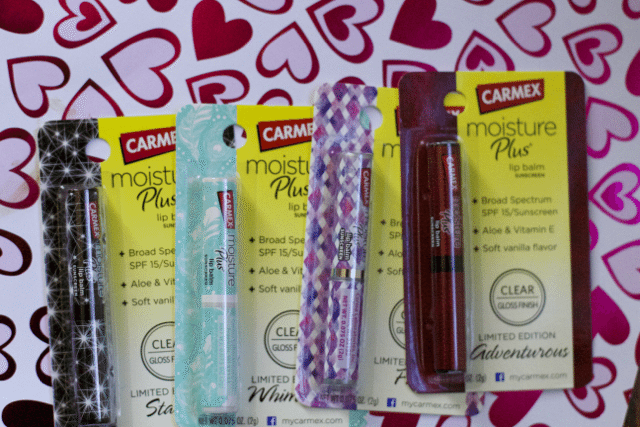 Pucker up this valentines Day and have your tween or teen create some fun Valentines for her friends using these colorful Carmex Lip Care products. Does your Valentine steal products off your side of the bathroom. Grab the Better Half Kit from The Grooming Lounge to keep her stocked for the time being. Some of our more popular and most frequently “borrowed” solutions by women come in a convenient set that’s perfect for any gift-giving occasion. You can use this Valentine Saying: Thanks for being my Better Half. No Sugar needed You are Sweet Enough: If you plan on giving chocolate, give her good chocolate like these No-sugar added, all-natural stevia-sweetened milk chocolate bars from Lily’s Sweets still taste every bit as good as traditional chocolate. 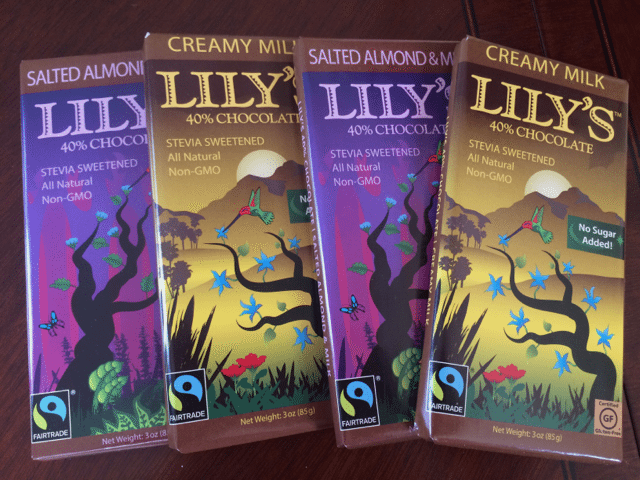 Plus, Lily’s treats have 25% fewer calories than traditional chocolate. The bars come in Creamy Milk and Salted Almond & Milk – all the velvety smoothness of premium milk chocolate, but with no sugar added and Fair Trade certified cocoa. Purchase here, $4.49 each. Also available nationally at Whole Foods Market. Treat yourself as well as your Valentine and tell them “ I SCREAM for you this Valentines Day” with the amazing culinary dessert adventure with Choctál Ice Cream. 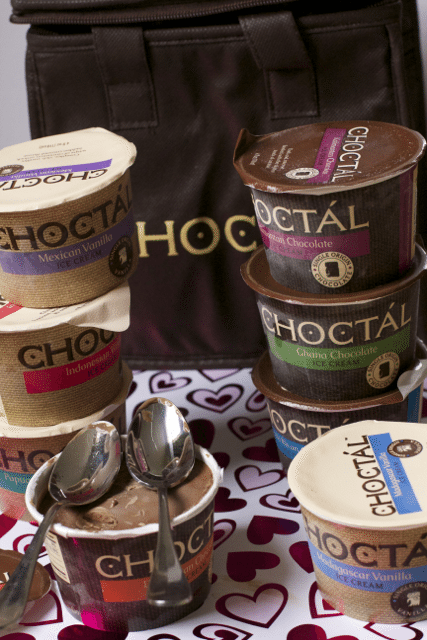 Chocta’l is a single origin ice cream company that ships their international flavors right to your front door. Whether you choose the Chocolate Tour, Island Tour, or splurge for the World Tour, each pint contains only the finest flavors and ingredients from unique regions around the globe. They come with tasting notes that really bring Ice Cream to a new level. Add a Valentine tag that says You are a “Pop”ular Teacher, Kid etc. 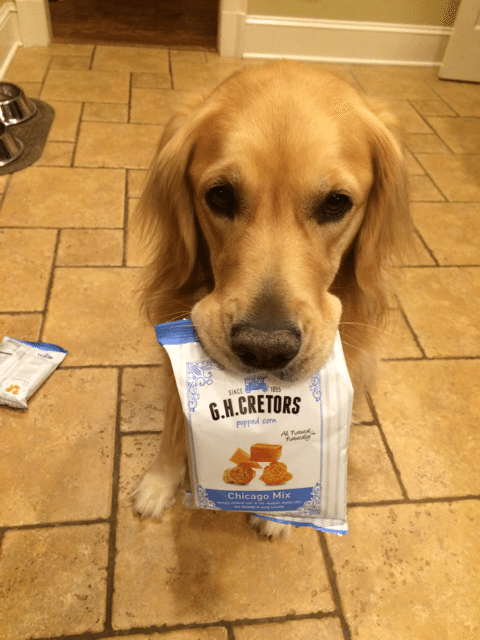 to a bag of this delicious popcorn from GH Cretors Chicago Mix. Made with all-natural ingredients completely free of GMO’s, artificial colors, flavors, and preservatives, G.H. 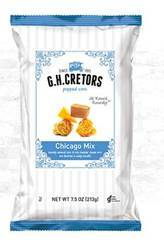 Cretors’ signature Chicago Mix combines caramel corn and cheese corn in the same bag, offering addictive, simultaneous hits of sweet, salty, crunchy and cheesy. This one passed the test with this Chicago Girl. Check out our cute Popcorn Valentine for teachers. You are Berry Special to Me will make a statement when you give your Valentine a bag of Stoneridge Orchards, tpremium tart cherries, cranberries and blueberries dipped in decadent dark chocolate. The company always uses whole fruit pieces grown by third generation farmers in Washington state for an all natural sweet treat. $3.99 per 5 oz. bag, I could eat the whole bag and why not dark chocolate and the fruit are both good for you right? You are one Dish I Won’t Pass Up this Valentines Day. Surprise your Valentine with a dinner made complete with the Date Night Dish Assortment from Tastefully Simple or wrap it in a box for a future Date night. You will find everything in this assortment provides Tastefully Simple products to make a heart melting meal for your sweetheart consisting of Bayou Bacon Chicken, Key Lime Fondue, Vidalia Onion Spinach Salad, and Samba Sangría on the rocks. We have used the Garlic Garlic sprinkles already in many dishes. Let’s make some Whoppie this Valentines Day with Piping Gourmets whoopee Pies. They offer a variety of flavorful, allergen free whoopee pies that are certified GFCO, Kosher-Pareve and Vegan, dairy free, egg free and are non-GMO. These cute whoopie pies are perfect alone as great desserts for gift giving for your sweetie, or can be jazzed up with whipped cream, caramel and chocolate sauce, fruits, or whatever your heart desires to make for a beautiful and delicious presentation! I only have scones for you: Serve a Valentines Day Breakfast with Barista Break and Bake scones – These are truly delicious and easy to make. They come in 3 flavors – orange cranberry, blueberry, and strawberries and crème. Find them in the dairy Case in a store near you. Have a Family Valentines Day party with Family Finest . Take a break from the kitchen and buy one of these pizza and cookie kits. Either of these kits would make for an excellent starter for kids’ creativity. Whether they decorated with hearts or messages, it would be a fun canvas for creating their favorite things to give to parents or siblings. The kits also create a great opportunity for families to get in the kitchen together and have fun while learning! Then have a romantic dinner with your partner later. The Red Velvet Spoon Case looks like a traditional bracelet box, covered in red fabric that opens to reveal the iconic Dairy Queen Red Spoon resting on white satiny fabric. 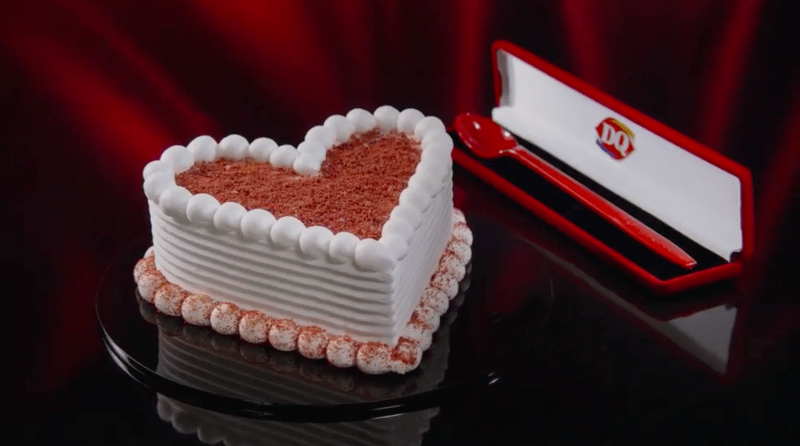 It’s unexpected, amusing and the perfect utensil for sharing DQ’s new Cupid Cake. Best of all: the entire net proceeds will be contributed to Children’s Miracle Network Hospitals for every spoon gift box sold. You can order the Cupid Cake and The Red Velvet Spoon Case online at DQCakes.com. Not everyone wants to celebrate Valentine’s Day. Just had a bad break up, buy yourself one of these Staples® Space-Saver 10-Sheet Cross-Cut Shredder and take care of all the pictures and love letter you ever received from your Ex… Trust me it will be the most memorable Valentines Day you celebrate. Plus this Staples Brand Product line will be part of a Buy 2, Get 1 free office supplies deal during the first 3 weeks of March? “You rock!” or “Have a blast” or “You are a blast” – Who doesn’t love pop rocks candy! “You are just ‘write’ for me!” – A pencil or pen is always an appreciated gift! I really want a bag of that chocolate covered fruit right now! Great ideas. I love valetines day, great gifts, crafts and food!! Lots of great ideas for Valentine’s Day! A speaker worth the description ‘freakishly amazing’ has me chomping at the bit to give it a try. I got one just before the holidays, different brand… it’s just okay. I want something loud! A nice book would make a great present for me. I need to get some me time reading. I have been obsessed with those Carmex lipsticks! Also, I love this gift guide! It is so helpful in deciding what to get loved ones. You got me at the chocolate! Love the photo of your furbaby! These are great gift ideas. But I mean really Chocolate covered blueberries!!!! Those are the bomb! These are fabulooooous gift ideas! And I LOVE that puppy! I am officially hungry for chocolate now even though it’s not valentine’s day yet. what greta list you have here passing it onto hubby. Such great ideas. I’ll take one of each, please! These are great gift ideas for Valentine’s! That chocolate looks wonderful! What sweet sayings (pun intended). I’ll have to try all the ones involving chocolate and donuts out before Valentine’s (just to make sure, of course). These are cute ideas for Valentine’s Day! I like the stylus! All really nice ideas. It’s hard shopping for a husband who has almost everything. I might have to just add a few things together. Those are all really cute ideas. I love the donut one! Cute ideas! those chocolate covered cherries look yummy too!